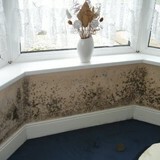 Mould removal, inspections, testing, indoor air quality services, and products. Certified experienced professionals. Assisting homeowners, businesses, property managers, real estate agents, and home inspectors. 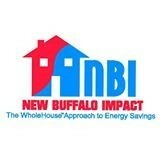 New Buffalo Impact (NBI) is a BPI accredited contractor. Our comprehensive energy audit helps you find out precisely where your energy dollars are being wasted. We also help you design a home energy improvement plan that will make your home more comfortable while saving you money each day. Jan-Pro offers commercial and office cleaning services. The staff at Jan-Pro are certified and trained in business management, green cleaning, and disinfecting processes. All crew members are screened and carefully selected, uniformed with photo ID, bonded and insured, and WSIB compliant. 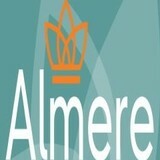 Almere apotheek strive to provide the highest quality pharmaceutical grade anabolics and ancilliaries direct from the Netherlands. The also provide expedited shipping with tracking from Canada post. Healthy Environmental deals with residential and commercial issues including dealing with all types of hazardous substances found in homes and buildings. Our staff respects your property and we try our utmost to be least intrusive in removing the problems without too much disruption. Although we prefer if our customers are not within reach of our work areas, you can feel secure your contents and items are safe and secure. Our staff have worked in non-union and union organizations. We acknowledge that liabilities and safety are of major concern. We carry $5 million commercial general insurance with pollution liability coverage and have no claims with WSIB to date. 911 Wildlife Pros are animal control and wildlife removal company in Oakville and Burlington provide professional removal services with 100% satisfaction guarantee.Our Services including raccoon, skunk, squirrel,snake removal or bird control. George Street Dental in Cambridge provides premium Family, General and Cosmetic Dentistry in Cambridge. Let us maximize the smile you deserve 519-621-1593.